Alex Walden and I discuss game theory and humanism within the prism of the Democratic primary. Part 2 of my sitdown with artist, activist and Bernie Sanders supporter Alex Walden talking politics and the system within the Democratic Primary. Part 1 is here. Alex and I talk about the idea of humanism and how, in his opinion, it elevates Bernie over Hillary as far as attacking the “white supremacist, capitalist patriarchy.” Humanism is the outlook or system of thought attaching prime importance to human rather than divine or supernatural matters. Humanist beliefs stress the potential value and goodness of human beings, emphasize common human needs, and seek solely rational ways of solving human problems. We then get at the heart of the electability question, namely the idea of the candidates having implementable platforms and the role of government. I am of the belief that the President is to abide by the powers of the Constitution whereas Alex wants an executive branch led by Bernie Sanders to be empowered to go after Citizens United, banks, corporations, etc. Alex talks about the oligarchy that is the United States. His perspective is that the system is extraordinarily broken and it will take extraordinary measures to fix it. Incorporated into this is the idea of game theory. Game theory attempts to determine mathematically and logically the actions that “players” should take to secure the best outcomes for themselves in a wide array of “games.” The “game” here is politics, and like most games studied, it shares the common feature of interdependence. That is, the outcome for each participant depends on the choices (strategies) of all. 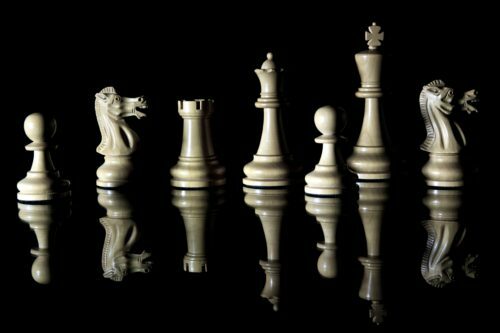 In so-called zero-sum games the interests of the players conflict totally, so that one person’s gain always is another’s loss. More typical are games with the potential for either mutual gain (positive sum) or mutual harm (negative sum), as well as some conflict. Part 3 focuses on Trump’s viability and money’s impact on the system. What’s up it’s me, I am also checking out this web site on a regular foundation, this internet site is truly nice and the viewers are really sharing good ideas. We prefer to honor quite a few other world-wide-web web-sites on the internet, even when they arent linked to us, by linking to them. Below are some webpages worth checking out. Hello there colleagues, how is all, and what you wish for to say about this post, in my view its genuinely amazing designed for me. Sohan is also being accused of leaving the jurisdiction in December very last year with no permission. Do you have a spam issue on this blog I also am a blogger, and I was curious about your scenario a lot of of us have designed some wonderful techniques and we are hunting to trade techniques with others, why not shoot me an e-mail if intrigued. Actually when somebody doesn’t be aware of afterward its up to other viewers that they will aid, so here it happens. One particular was designed only for exhibiting seconds and small whilst a various 1 making use of moment graduations is created for implying several hours. With respect to ergonomics and the superior technilogy Heuer replica watches have been the fantastic samples of athletics watches. Very good way of describing, and fastidious post to get info regarding my presentation subject matter, which i am going to express in college.